The purchase of a stringed instrument is always a very personal one. There are good choices in every price range. While the demands of an experienced player are more complex, the goal of finding the instrument that best suits the temperament and playing style of the individual is the same at any level. Although it is not required, scheduling an appointment to see instruments enables us to give our best attention to your needs. This allows close comparison of several instruments in a given price range. Instruments may be taken out on approval for one week to further assure a purchase choice. We will also be happy to send instruments to customers when distance precludes a personal visit. Teachers can be very helpful to students looking for an instrument. They have professional expertise as players and are in the best position to know their student's particular needs. We welcome their involvement in the process, whether they choose to accompany a student to the shop or review instruments in a studio setting. While we offer discounts on certain items to all professionals, we do not engage in financial relationships with teachers. We feel that maintains the integrity of the buying process. One of the most common questions we receive is "Do you have any used violins?" Often the prospective buyer is in search of an inexpensive instrument. Stringed instruments are not inherently depreciable, so "new" or "used" per se is not a factor in pricing. The price of a commercial instrument is based simply on its wholesale cost and the cost of set-up. However, a vintage commercial or "factory" instrument will often have a higher value over a comparable new one. In general, the quality of wood and workmanship are primary factors in the cost of an instrument. Sound, condition and lineage are also fundamental in pricing. Any instrument or bow purchased from us may be traded in for a single like item of equal or greater value under the following conditions. Instruments must be in essentially the same condition as when they were purchased, with no major structural damage, sound post or bass bar cracks, or revarnishing of the instrument. 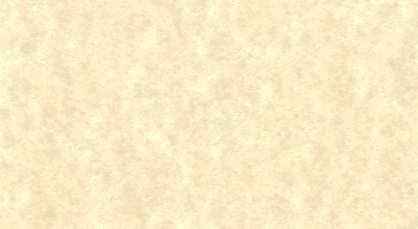 Bow sticks and frogs must be free of cracks or breaks. We reserve the right to determine whether any damage has occurred and to refuse or reduce the trade-in allowance. Instruments requiring no repairs will be allowed the full purchase price less the current price of a set of replacement strings. If repairs/restoration are necessary, that cost will also be deducted from the original purchase price. Bows will be given full allowance less the cost of a rehair plus any required reconditioning (recambering, bow grips, etc.). The shop trade-in must be from the original purchaser of our instrument. 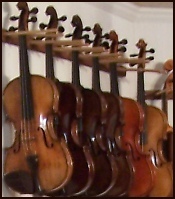 Kapeller Violins inventory ranges from modestly priced commercial instruments to fine handmade instruments. Our entry level instruments offer excellent value for the more novice player. Our acquisition process includes a review of each instrument to ensure it meets our high standard of workmanship. Each instrument is then set up and tonally adjusted to achieve optimal responsiveness. While our specific inventory is always changing, we regularly stock instruments by leading manufacturers such as Scott Cao, Eastman, Tanglewood and Snow. We also have a selection of older trade and handmade instruments. Our inventory of fractional instruments reflects a broad spectrum as well. We carry a range of bows from brazilwood and carbon fiber bows appropriate for developing student players to fine, handmade bows.